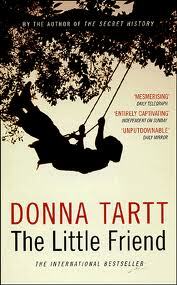 This book is the second novel written by Donna Tartt, and follows the story of Harriet Dufresnes, an intelligent 12-year-old girl possessing a sometimes cold manner and dark toughness. Set in Mississippi in the late 20th Centure, it has a Southern Gothic atmosphere, and Tartt communicates the impression of a once bustling town now faded and crumbling; of once-proud ‘old money’ families rubbing shoulders with rednecks and hillbillies. In the prologue we learn that while she was still a baby, her 9-year old brother Robin had been callously murdered, with the only witnesses being herself and her sister Allison, 4-years-old at the time, who has repressed the event to such an extent that no helpful information can be drawn forward, and as time passes and the murder remains unsolved it has a cruel ripple effect on everyone within and connected to the family, with their lives slowly unraveling into tatters. Harriet remains in the care of her damaged Mother who floats throughout the story in a state of dreamy misery, a number of Aunts, with the main responsibility for her upkeep falling to her Grandmother Edie who comes across in part as an older, life weary Harriet, the family’s loyal housekeeper and a Father who, shortly after his sons murder, left to join his Mistress in Nashville. Harriet’s spirited nature sits at odds with that of all those besides her Grandmother, and her love of mystery, gore and horr or is kept fed by the perplexing events surrounding her brother murder. She resolves to right the wrong and undo the damage that Robin’s murder brought to her family, concluding that answers would bring healing, and she decides to track down and punish her brothers killer, who she eventually concludes to be Danny Ratliff, a former classmate of Robin’s. Her consequent obsessive stalking of him in turn triggers a state of fixated mania within him, leading towards a darkly explosive conclusion. This is a book as much about the mystery of murder and revenge as it is about family dynamics, filled with dark humour, moments of profound revelation and an insight into the psyche of both good and bad. 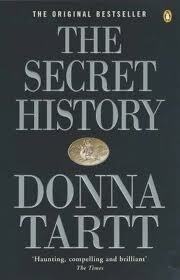 If you find this book as enjoyable as I did, Donna Tartt’s debut novel The Secret History is also well worth a read.